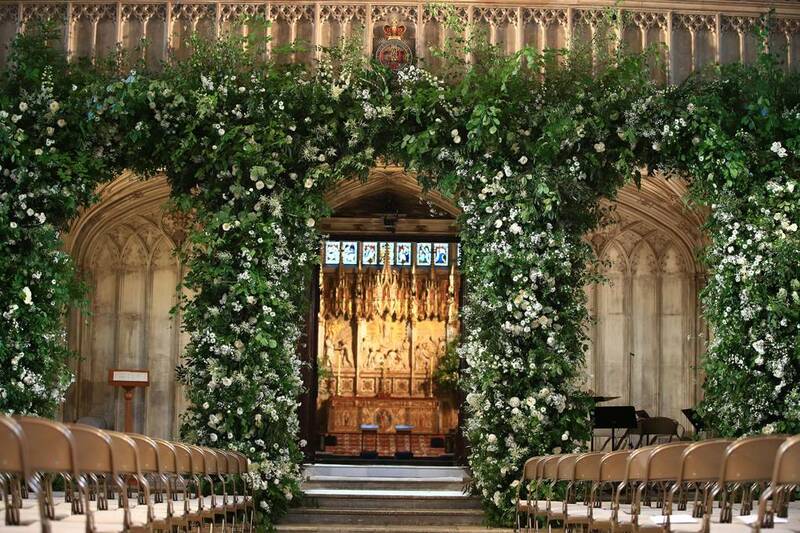 Flowers, designed by Philippa Craddock, adorn the walls of Windsor Castle’s St George’s Chapel. 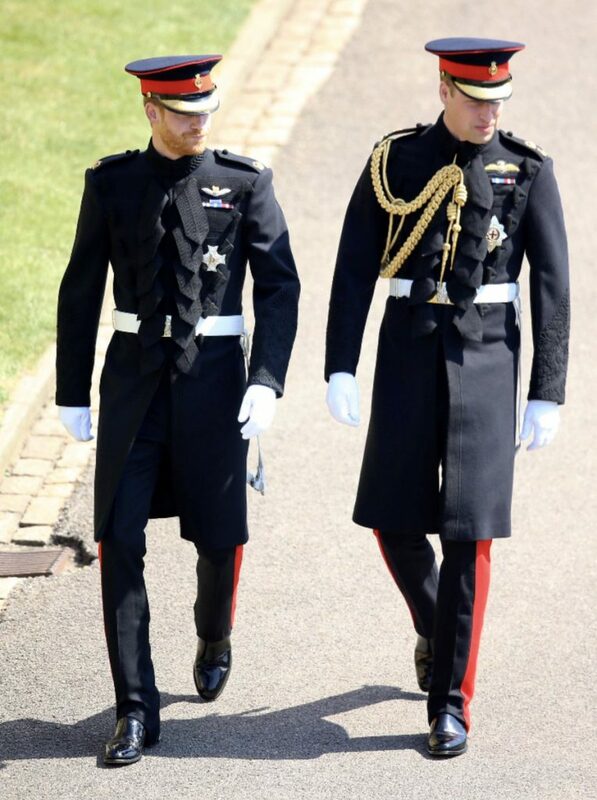 Prince Harry and his brother and best man, the Duke of Cambridge, arriving at St George’s Chapel wearing the frockcoat uniform of the Blues and Royals, tailored by Savile Row’s Dege & Skinner. 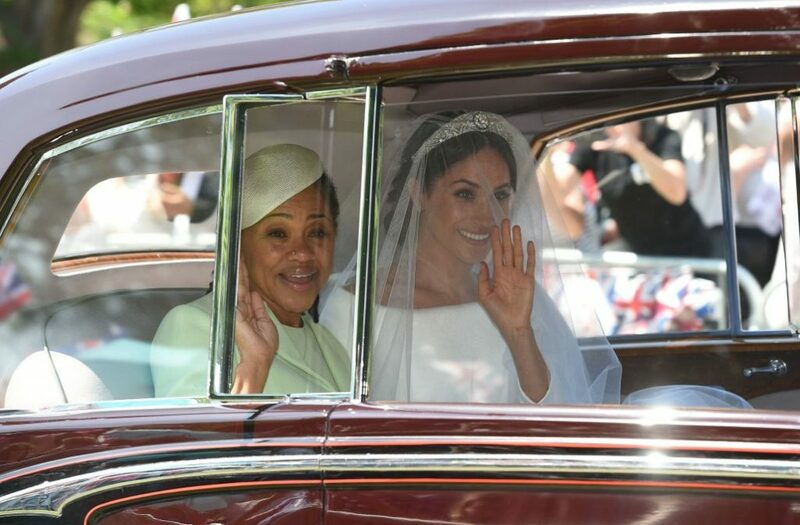 Bridal car drives up the Long Walk to Windsor Castle. 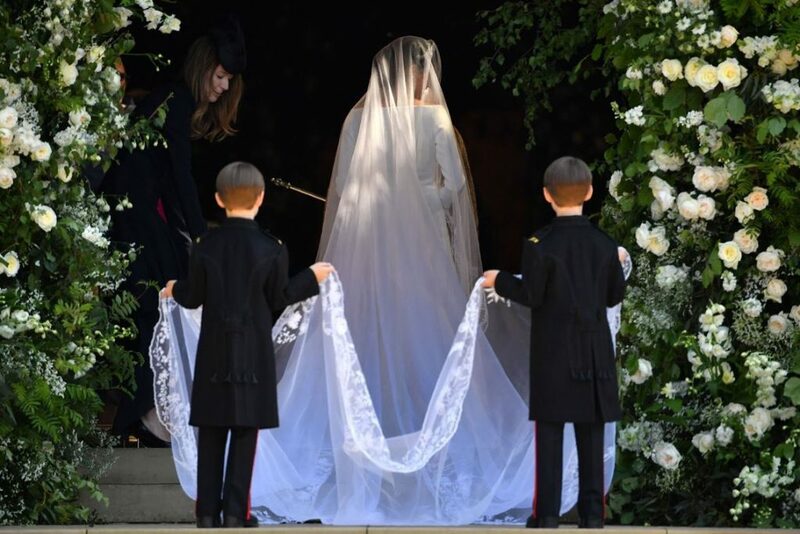 Arrival of the bridesmaids and page boys. 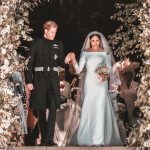 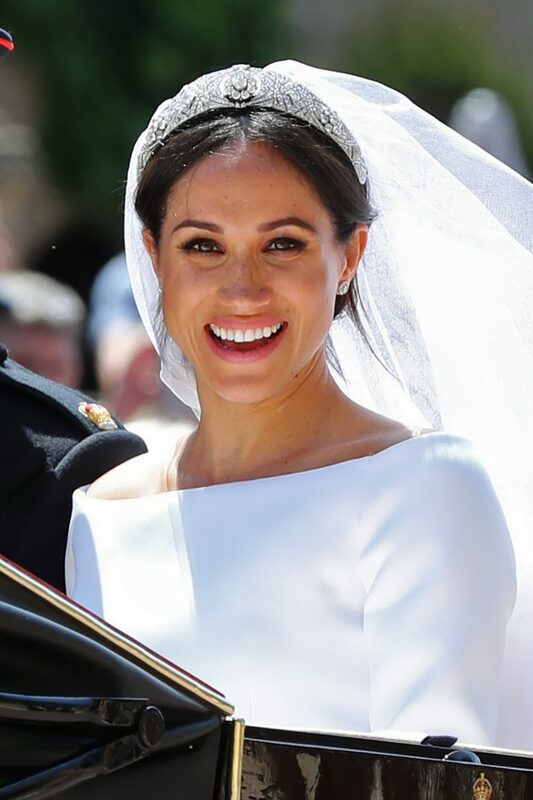 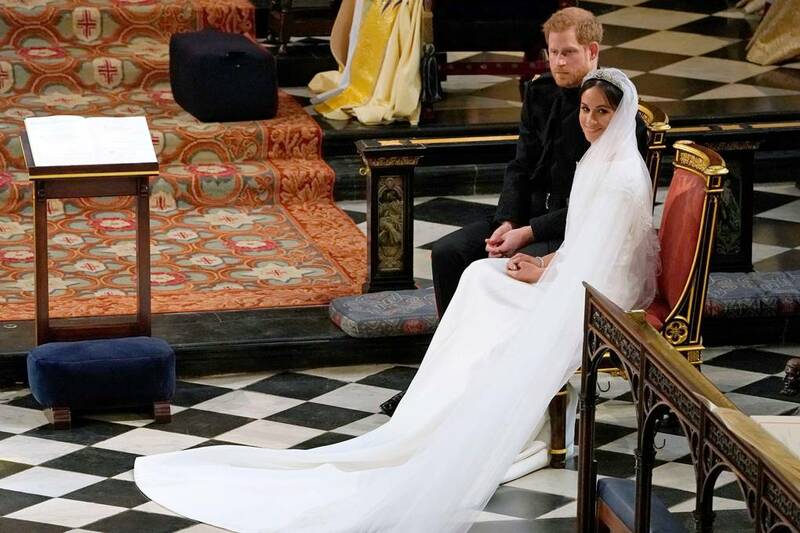 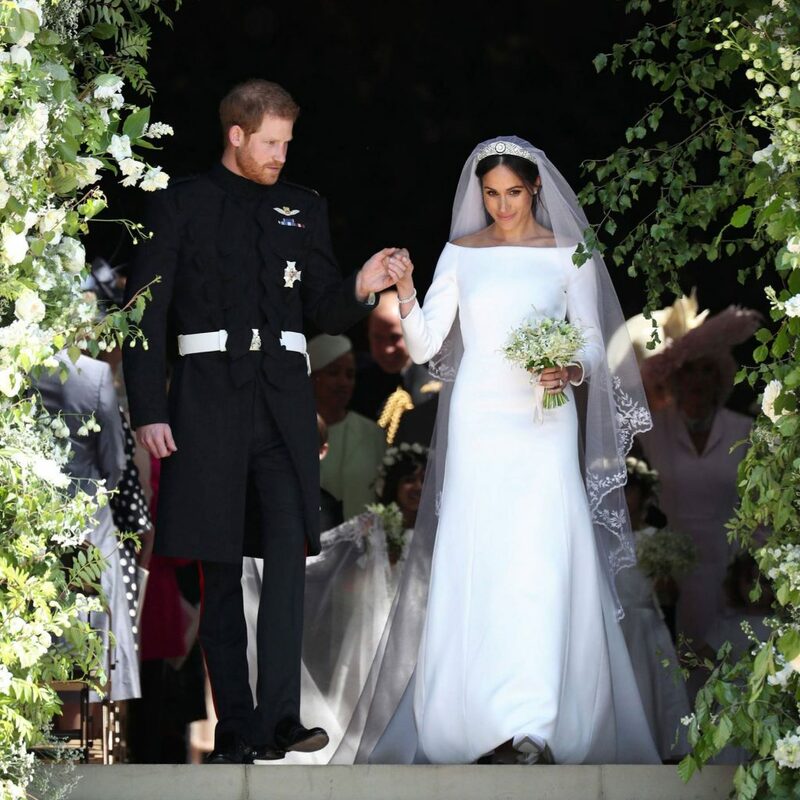 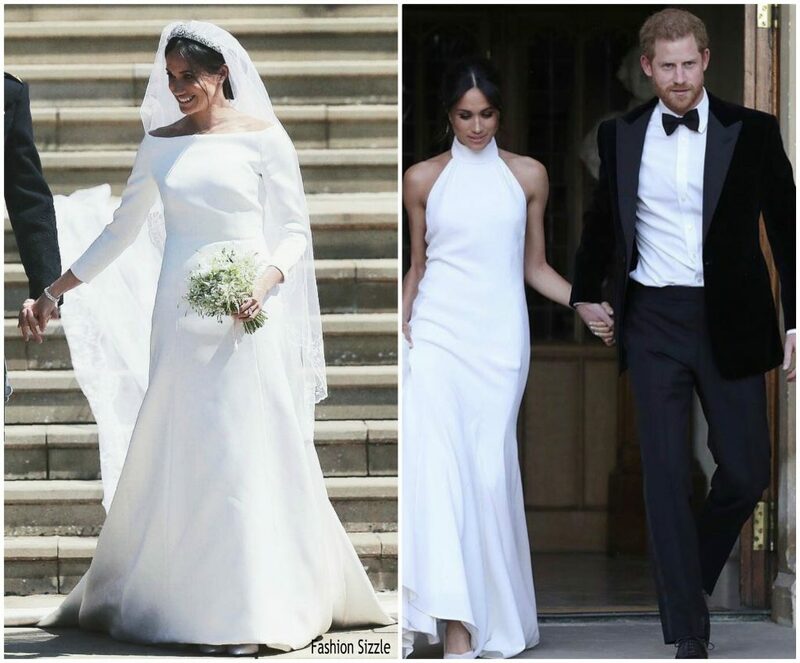 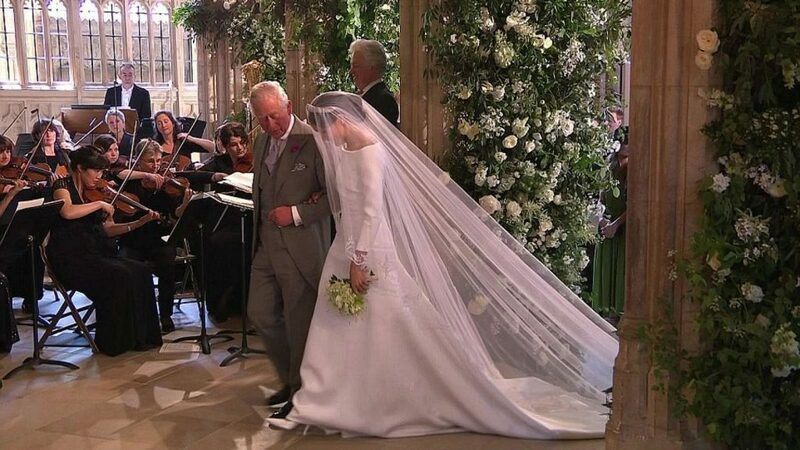 Prince Charles accompanies Meghan Markle for the second part of the aisle. 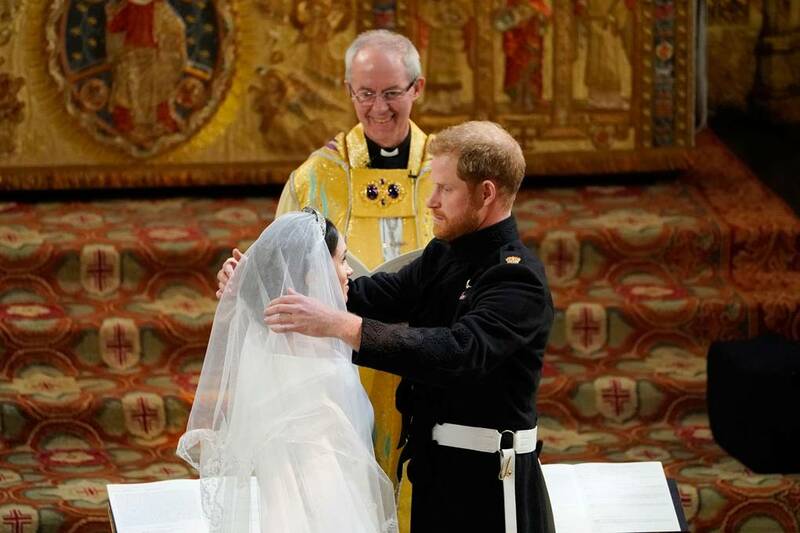 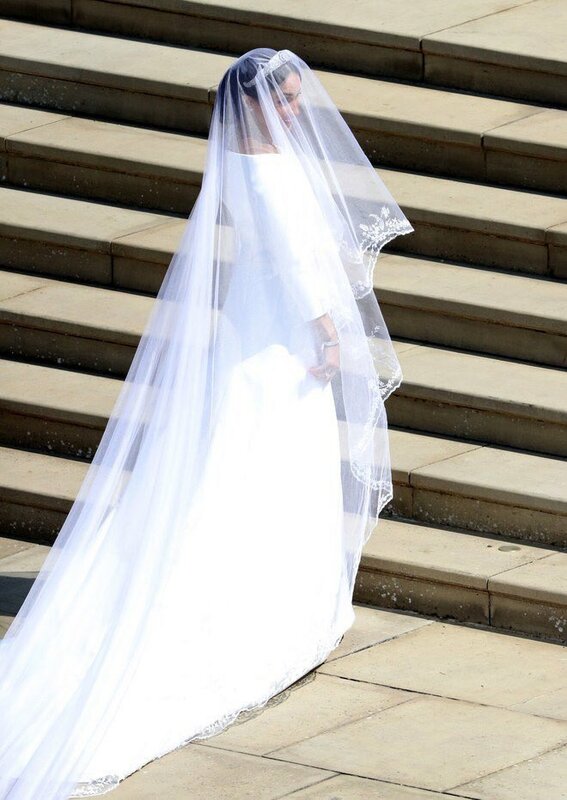 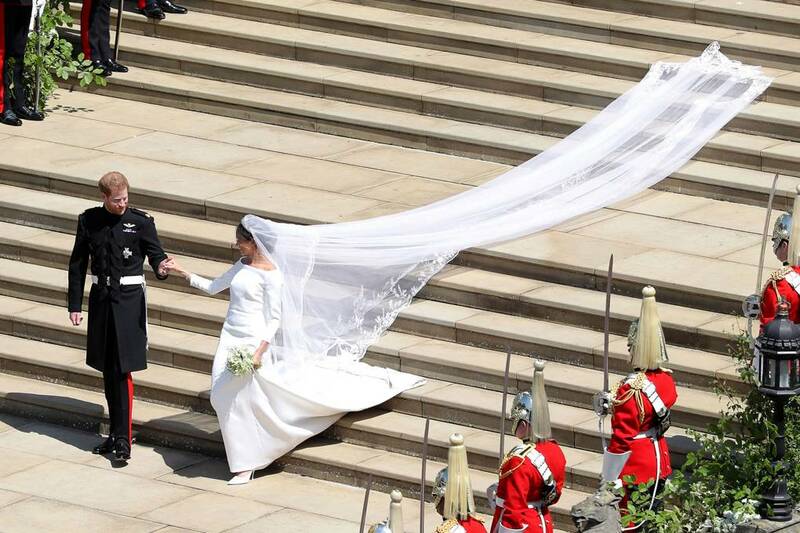 Prince Harry lifts his future wife veil. 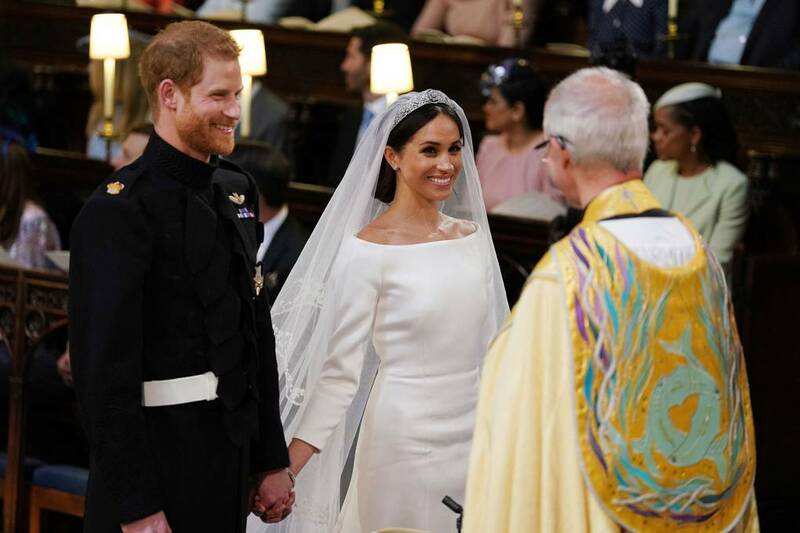 The couple watch as Karen Gibson and The Kingdom Choir sing “Stand By Me”. 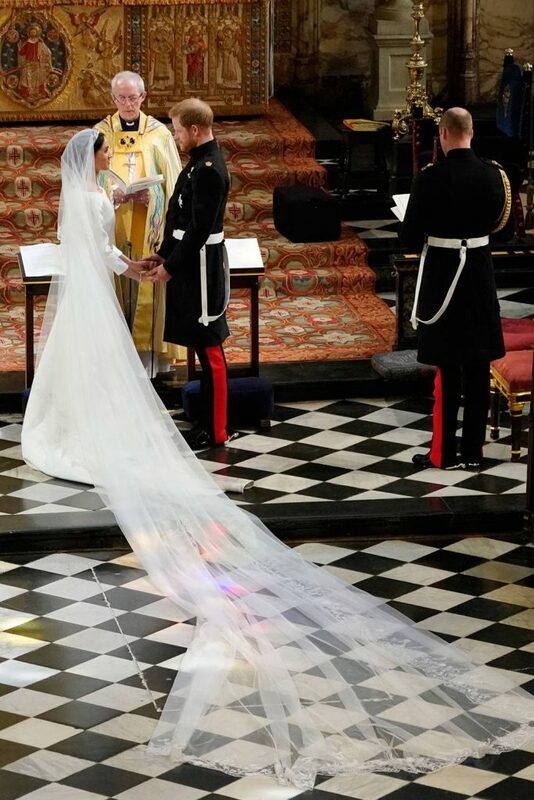 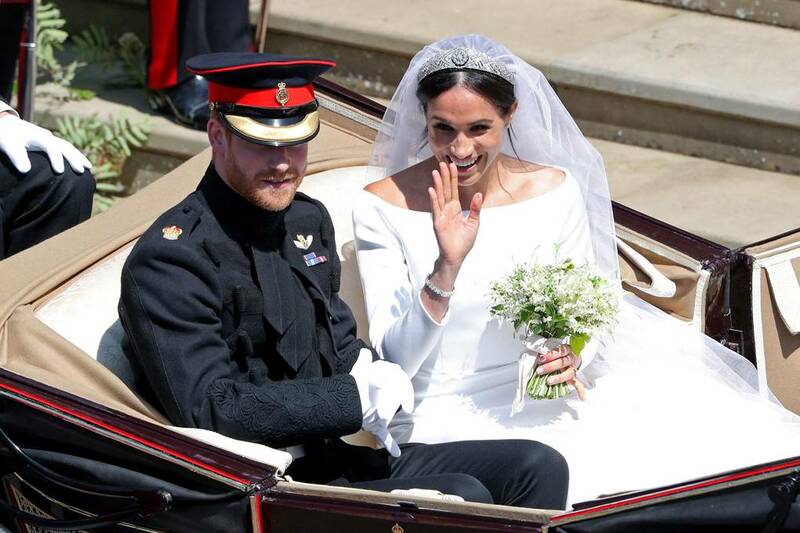 Prince Harry and Meghan Markle exchange their wedding vows. 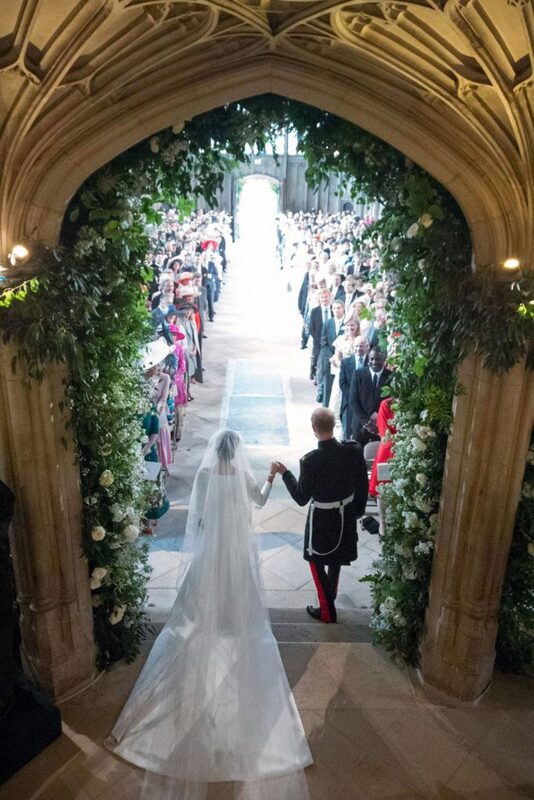 Newly wed couple exit the chapel hand in hand. 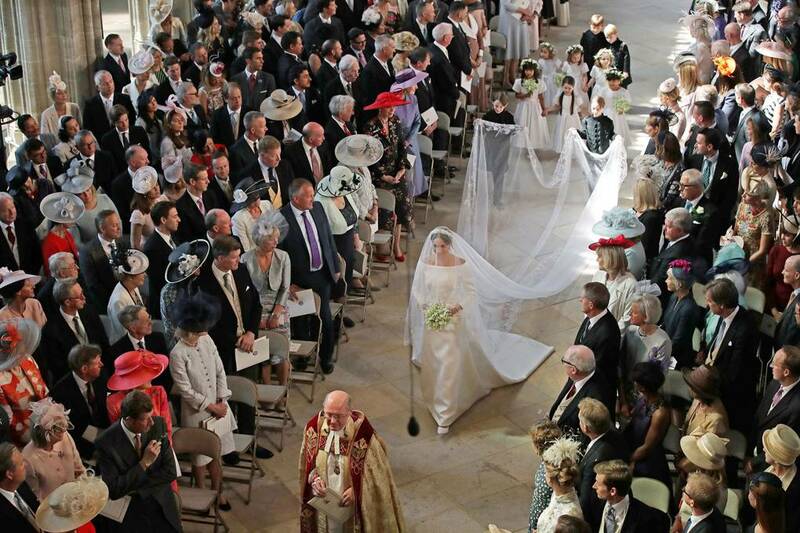 Crowd excited to see the newly wed couple as they leave the ceremony. 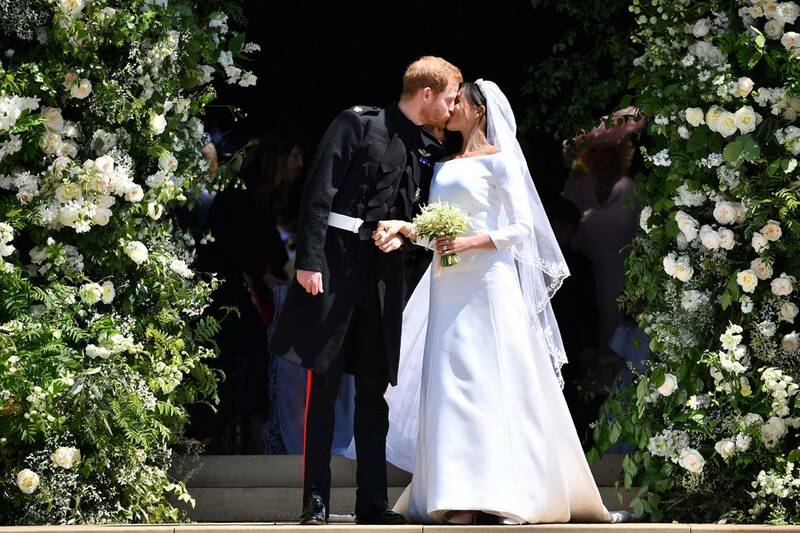 The bride and groom kiss on the steps of St George’s Chapel. 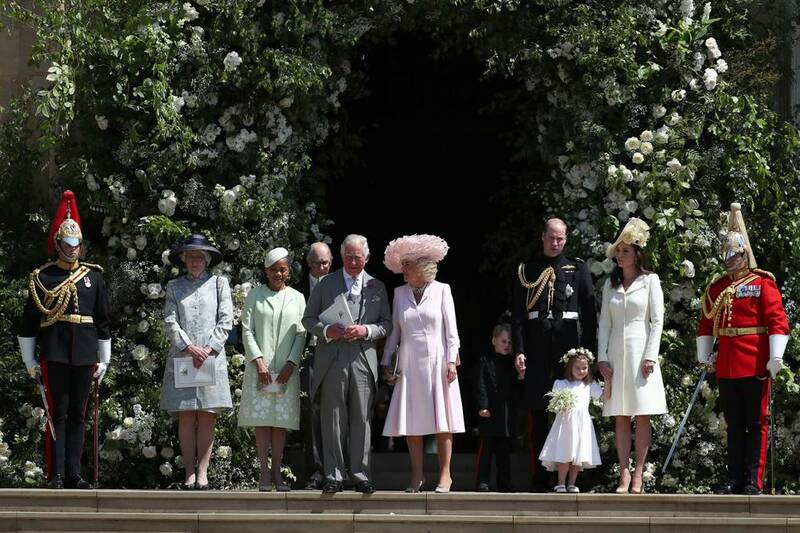 Members of the royal family cheer the newlyweds off from St George’s Chapel. 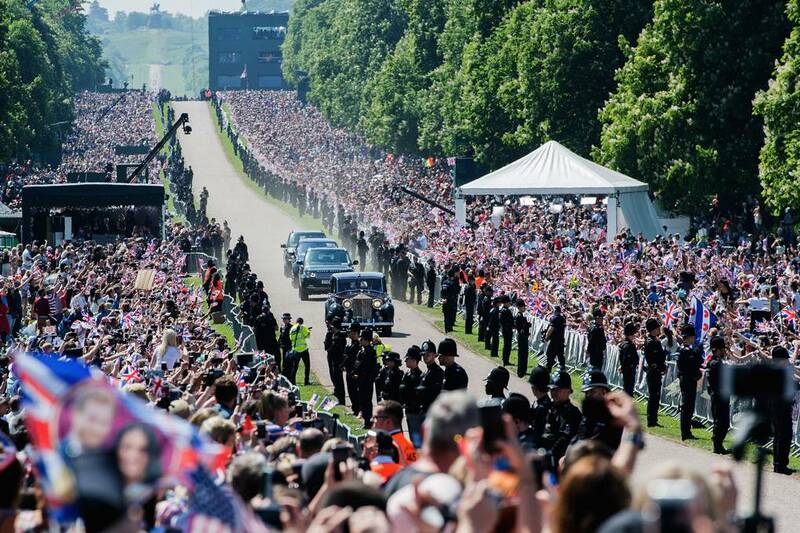 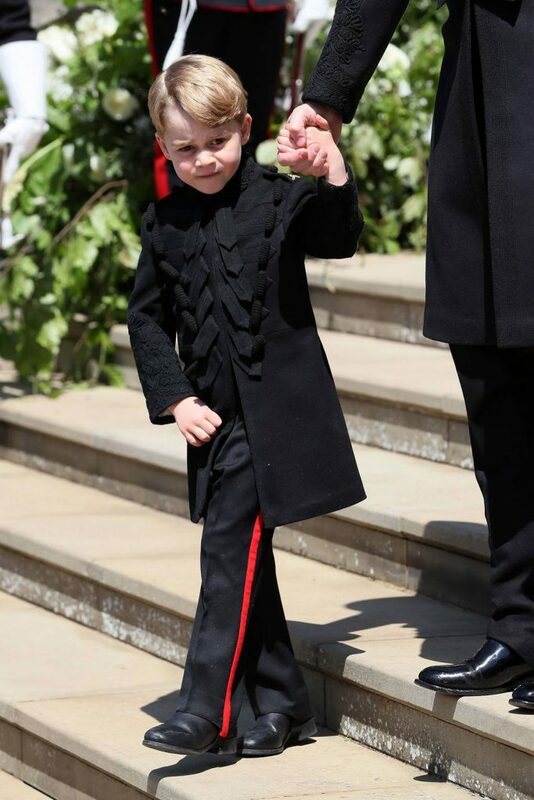 Princess Charlotte waving the crowds outside Windsor Castle. 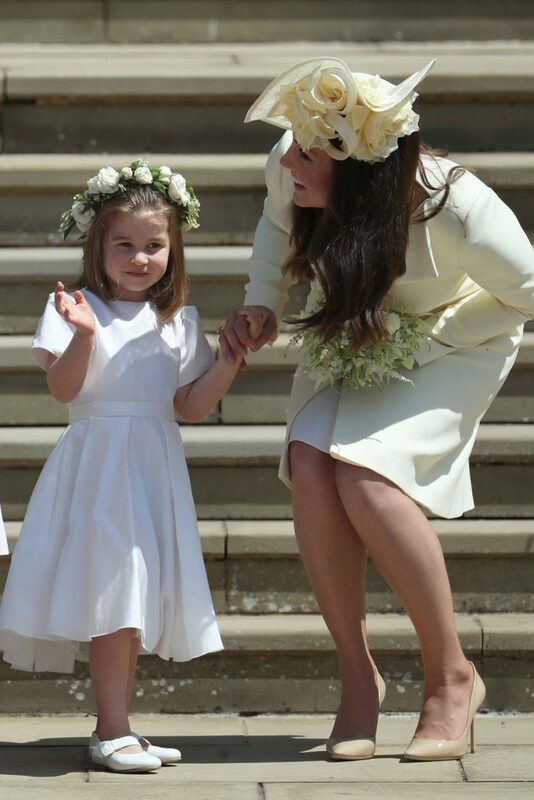 The Duchess of Cambridge, in an Alexander McQueen primrose yellow wool suit she is with her daughter Princess Charlotte. 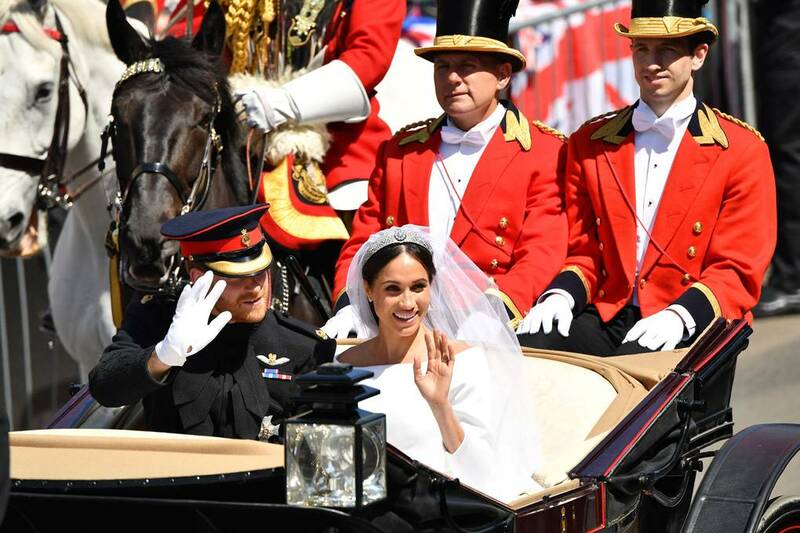 Procession through the streets of Windsor, waving to the crowds. 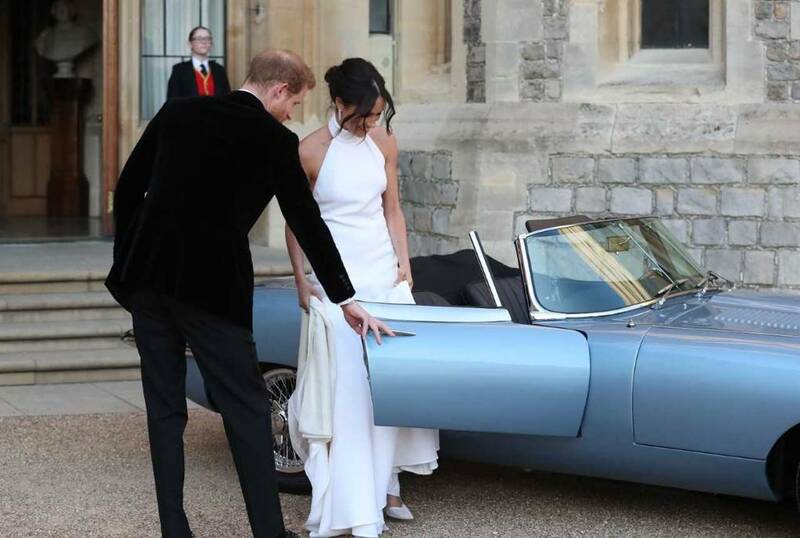 The Duke opens the door of a silver blue Jaguar for his wife.